More than half a million potholes were reported by public to local authorities across the UK for repair in 2017 – an increase of 44% on two years earlier, according to data obtained by the RAC. A freedom of information request made to the 212 councils in England, Scotland and Wales responsible for roads found 512,270 potholes were reported last year to 161 authorities compared to 356,432 from 152 councils in 2015. Extrapolating the numbers to include authorities that did not respond or were unable to provide data, the RAC predicts a number closer to 675,000 potholes in 2017 likely. This compares to an extrapolated figure of 508,651 for 2015, representing a smaller increase of 33%. English authorities, not including London, saw the worst rise in the number of pothole reports between 2015 and 2017 with a 55% jump from 269,486 to 417,881. Wales experienced a lesser increase of 22% with reports going up from 9,519 to 11,638. However, when comparing last year with 2014 in Wales the difference was greater (40% increase) with only 8,287 potholes reported. When looking at the inclusive four-year period from 2014 to 2017, a total of 1,737,161 potholes were reported across Britain but, factoring in those authorities that did not provide data, the figure is more likely to be closer to 2.4m (2,429,422). RAC head of roads policy Nicholas Lyes said: “Our own analysis of breakdown data shows the damage suffered by motorists is a constant source of frustration and expense, but the scale of the problem is obviously far greater than the numbers show. 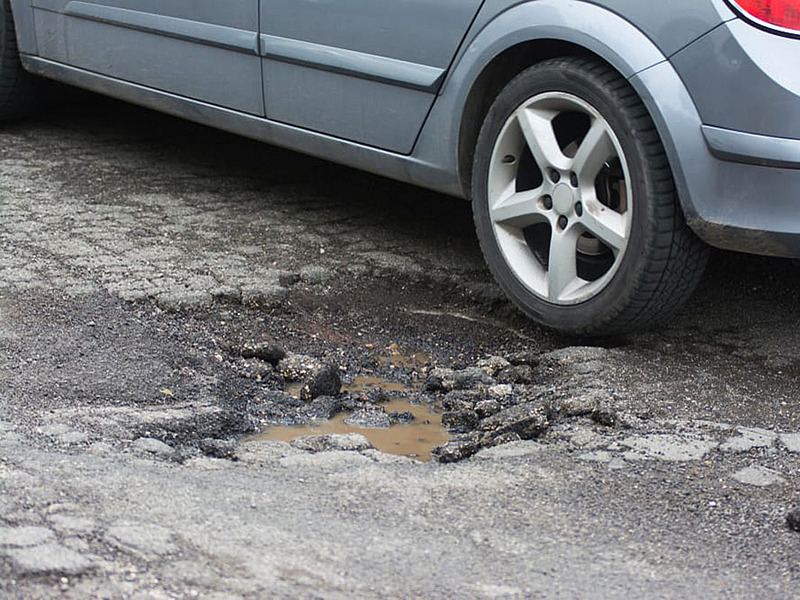 “Perhaps motorists are more inclined to report pothole defects than they were a few years ago, but we believe the sheer size of the increase is further proof the condition of our roads is worsening. With over half a million potholes reported in 2017 and a more accurate figure for all authorities, including those that didn’t provide data, likely to be in excess of 674,000, this is sadly just the tip of the iceberg as thousands will go unreported every year. The RAC’s most recent study of breakdown data for the RAC Pothole Index shows its patrols dealt with 14,220 damaged shock absorbers, broken suspension springs and distorted wheel breakdowns in the year until end-October 2018, which represents 1.5% of all call-outs. This was the second highest percentage ever recorded since the RAC started analysing this data in 2006, with the highest being 1.6% – a figure previously only seen in 2015 (Q3 & Q4) and 2017 (Q3 & Q4). The Pothole Index, which is the RAC’s long-term indicator of the health of the country’s roads, also shows that it is not an improving picture, as the index remains considerably higher than it was in the third quarter of 2017. In fact, with the index standing at 2.63 this means motorists are now more than 2.5 times as likely to have a pothole breakdown than they were 12 years ago. 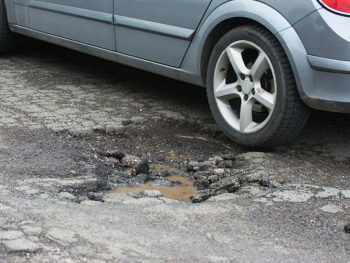 The record high index figure was 3.5 in Q1 2010 when motorists were 3.5 times more likely to breakdown due to hitting a pothole than they were in 2006. Nicholas Lyes added: “Drivers questioned for the RAC Report on Motoring listed the condition and maintenance of local roads as their top motoring concern with many saying the standard of roads is not good enough. They also think conditions have worsened in the last year. Our own data shows that since the third quarter of 2017 vehicle damage from potholes remained constant and there has been no significant improvement over the past 12 months. Drivers can quickly and easily report a pothole on the RAC website.